Being a bus y mom of 3 boys, I find it hard to keep the house organized. When I was offered to review the DYMO Label Manager 260P, which is a portable and rechargeable label maker, I was thrilled. I need all the help I can get !! When it arrived I was ready to give it a try, to my surprise the label cartridge was very easy to load. Once load it was ready to go! I started labeling everything from our to go cups, craft boxes and with school back into full swing the labels are also great for the boys binders, lunchboxes etc. . I really like that is is rechargeable, powered by a lithium-ion battery – the same technology used to power cell phones and laptop computers , so you never have to worry about dead batteries. It is also light weight. Also the DYMO Label Manager can print 10 copies of one label, which make it easy and fast to label the same child's things! See the DYMO LabelManager 260P in action !! Graphical display lets you see text effects on screen before you print. This means no more guessing what the label will look like. What you see is what you get! WINNER HAS BEEN EMAILED !!! 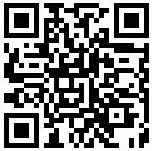 Visit DYMO and take a look around then come back here and tell us another Dymo you would like to try. One winner will be chosen ! I will be using a random number generator to select the winner. Contest ends at 11:59pm CST on 9/28/10. If the prize is not claimed in 48 hours a new winner will be chosen.Contest open to U.S. residents only. The CardScan Executive is cool. 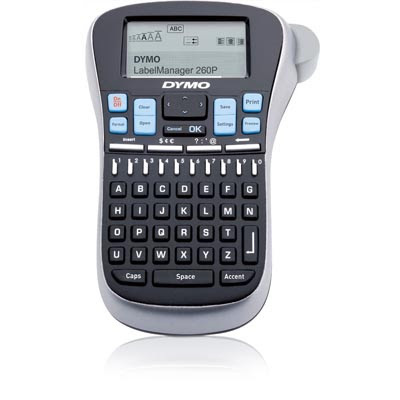 I'd also like the DYMO LabelManager 210D - All-Purpose Label Maker with Large Graphical Display. Thanks so much. I also like the DYMO Label Manager® 360D - Rechargeable Desktop Label Maker. I would like to try the DYMO LabelWriter 450 Professional Label Printer for PC and Mac. I would love to try the Picture it Postage. I'm dreaming big! I'd love the DYMO LabelWriter 450 Twin Turbo Dual Roll Label and Postage Printer. I'll take the 260P and the kids can have their own Cool Clicks. Thanks for the contest. Another Dymo that I am interested in is the LabelManager 450 with the Pc/Mac Connection. I thought this was an interesting feature of beaing able to hook the label maker up to the computer. I haven't heard of this feature being available on a label maker yet. Cool! I am now a fan of Life in a House of Blue on Facebook! CardScan Executive is another dymo item I would like to try. I like the Caption Maker. I would like to try the DYMO DateMark Electronic Date/Time Stamper! I would really like the CardScan Personal. This would be nice to help eliminate alot of paper clutter around my house. Thank you for the giveaway and chance to win. Their DYMO LabelManager 210D - All-Purpose Label Maker with Large Graphical Display is very cool too! Thank you! I didn't realize they sold mailing scales. We could use their DYMO by Pelouze 10 lb. Digital Mailing Scale (PE10) where I work. I like the DYMO LabelWriter SE450 Label Printer. I looked at the LabelWriter 450, which would be nice to get labels ready for sending out packages but would REALLY be nice for a small home business I used to do. If I got back into working at home, Id for sure love to use this DYMO item! Pretty amazing they even have items to do postage labels! Already had signed up for emails! would be very helpful with the shipping that I do. I want the LabelWriter 4XL Label Printer. Card scan executive would be cool!! I'd like to try the DYMO Office-Mate II Labelmaker. Thanks. The postal scales would be great for our office. I"m following via Google Friend Connect. Somebody is always trying to label me, this would help clarify thinks. I would love the cardscan team. I like the Picture It postage. I think the DYMO DateMark Electronic Date/Time Stamper looks really neat. The DYMO LabelManager® 210D - All-Purpose Label Maker with Large Graphical Display would be great, too! I would love to have the CardScan Executive and get all those darn cards out of my purse. I like the Picture It Postage! I like the letra tag. DYMO Desktop Mailing Solution Twin Turbo LabelWriter & Scale would be an item i would like to try. This would probably help out i love shipping my stuff to my daughter who is away at college, but sometimes you just can not stand waiting in line. I would love to get the CardScan Executive, thanks!